Author Archives: Brian Rapske Ph.D. I have a membership at our local community fitness center near where we live. The community center is a very popular place, being centrally located and right next to one of the larger highschools in our city. I’ve been going there for a number of years now. My object, beyond general health and fitness, is to keep the “big guy” away. I remember the big guy from the “before” pictures I have of myself. He is the couch potato, seriously overweight and unfit version that used to be me a number of years ago. I don’t want to go back there ever again. It’s a battle and in that battle I have to be committed. Like virtually all other such facilities, along one entire wall of our community fitness center there is a large bank of floor-to-ceiling mirrors. The purpose of the mirrors, as I understand them, is to monitor yourself so that you maintain a safe and proper exercise posture and technique. Its quite a study to watch what actually happens in the fitness center. Over the years it’s occurred to me that, while most folks come for vigorous and serious exercise, a rather significant minority actually goes to the fitness center as much or more so to admire themselves in the mirrors as they do to lift the weights! In a few cases, the narcisistic grooming and posing are so evident that it’s truly off-putting. But, then, I guess we’re all guilty of it from time to time. The matter of the weights and the mirrors reminds me of what Paul writes to the Philippians. Paul tells them about the sustained energy and commitment he exerts to gain Christ and be found in him, to know the power of his resurrection and the fellowship of Christ’s sufferings so that he might attain to the resurrection from the dead. But then, so that no one will mistake what he is saying, Paul clearly and forcefully declares that he has not yet arrived (Philippians 3:12-14). In fact, Paul advises that “all of us who are mature should take such a view of things. And if on some point you think differently, that too God will make clear to you.” (Philippians 3:15) We are not there yet. We are not finished works spiritually in this life. We are all of us still in desparate need of a saviour. To say or give the impression that one has crossed the finish line; to cherish self-congratulatory notions that one is a “good catch” for the kingdom, is actually a deflection from the finish line rather than a crossing of it. Paul says, the Christian life is about pressing on. It’s all about the weights and not the mirrors. 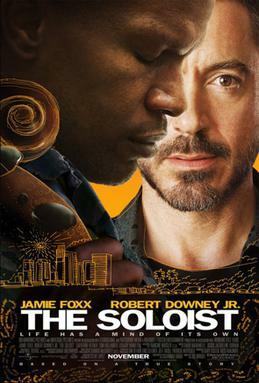 This past weekend, Rita and I went to see The Soloist (2009), a movie starring Jamie Foxx and Robert Downey Jr. It is the chronicle of a true story of friendship between LA Times columnist Steve Lopez and street musician Nathaniel Anthony Ayers. The movie is an adaptation of Lopez’ book entitled: The Soloist: A Lost Dream, An Unlikely Friendship, and the Redemptive Power of Music. Lopez is transfixed at his first meeting with Ayers in the park at Pershing Square as he listens to the latter playing a violin with only two strings. As the story unfolds, we learn that Ayers had been an immensely talented child prodigy. His talent and determination eventually opened the way for him to study at the famed Juilliard music school in New York. But why was Nathaniel Ayers now living rough on the streets of L.A., all his worldly possessions loaded into a shopping cart, playing a two stringed violin in the park and in the 2nd street tunnel near Hill Street? Ayers dropped out of Juilliard in his second year because of schizophrenia. In following decades, he experienced the harsh consequences of this disease in severe social dislocation and impoverishment. He battled his mental illness–sometimes with medication, but mostly not–finding consolation and a measure of personal peace in making music on the streets. For Lopez, the combination of Ayers’ brilliant talent and his homelessness and poverty are an absolute contradiction and an offense to what is right. At first, Nathaniel Ayers is a story to be told to the readers of Lopez’ column. But it strikes a chord. Many want to help Ayers, including Lopez himself. A cello is donated for Ayers to play; Lopez arranges to get Ayers an apartment; he presses to get Ayers connected with members of the L.A. music community; and he even explores the possibility of forcing Ayers into a mental health facility so that he can receive medical and psychiatric help. Every effort and attempt by Lopez is frustrated by Ayers, however. Sometimes spectacularly so! At one point in the movie, Lopez sits on the sofa in his ex-wife and fellow-journalist’s apartment. He laments his consistent failure as protector of his family during the earthquake, committed husband, and helper to Nathaniel Ayers and others like him on the streets of L.A. Through tears of frustration he declares, "I resign! I resign! I resign!" His ex-wife replies that he is not a savior. Lopez couldn’t stop the earthquake and he can’t save Los Angeles or even Nathaniel Anthony Ayers. But he can be a friend. The movie is a thoughtful piece and is bound to cause many, and especially Christians, to reflect upon the soaring joys and deep sorrows of human compassion and friendship. Its exploration of the boundary between genuine help and oppressive control and coercion in the actions of Lopez is wise and sensitive. …and the Redemptive Power of Music? Which brings me to the movie’s canvas of several avenues of redemption. How does one save people who don’t want to be saved? Redemption is decidedly not to be found on offer in the hostility and heavy-handedness of the police , in the promises of slickly-portrayed politicians, nor in earlier bullying forms of Lopez’ activism the moviegoer is told. The character of the director of the Lamp Community in L.A. offers a sensitive counterpoint as he counsels a frustrated Lopez at several points. The consistent advice in every conversation is helpfulness that is intensely personal and practical, respectful, and filled with patience and genuine friendship. Over and over again, the moviegoer is encouraged to find "redemption" in the music. It leaves Lopez dumbstruck and awed, it soothes and relieves the troubled Ayers, and it deeply affects moviegoers. I would be the first to suggest that the music offers a kind of transport–but redemption? What happens when the music stops, as it always does? The movie turns a disappointingly jaundiced and hostile eye toward the church in the cliched, objectionable religiosity of one musician character from whom Lopez seeks help. There are certainly places to look in justification of that shot–lamentable examples of empty, shallow, and generally inadequate Christian response to crushing physical, psychological and spiritual need. Sadly, moviegoers will be tempted to write off the genuine article on the basis of a facile generalization. In fact, it is Jesus with whom Lopez, in this writer’s opinion, seems most closely to want to identify, though the movie does not trace a connection. It was he who, "while we were yet sinners, … died for us." (Romans 5:8). Jesus is the astonishing demonstration of God’s love because, while desperately needed, he was unwanted; while offered without sham or hypocrisy, he was unforced; and while possessed of a quiet self-assurance and the power of majesty, he astonished the world by engaging in a "buy back" that was appallingly costly to him. Those who have been thoroughly captivated and transformed by that love can be found. And they furnish in their own selfless love and practical helpfulness a foretaste of redemption in present experience which is the respectful context for gospel conversation. It is also a powerful witness to the hope of redemption’s ultimate realization in God’s Son. This entry was posted in Church, Evangelism, Godliness, Salvation on May 14, 2009 by Brian Rapske Ph.D..
Media coverage of the Swine Flu epidemic is about as extensive as fear of catching the disease, though cases worldwide are relatively few at this point and only beginning to present themselves. The media features images of pigs, shots of the Mexican military handing out surgical masks, empty streets, sports stadiums, and restaurants, and hospital emergency rooms filled with long lines of anxious citizens. Meanwhile, newscasters press upon guest medical experts questions like, "Will this flu burn itself out with relatively few casualties, or will it become another 1918?" "How many might be likely to die worldwide?" "Who’s at greatest risk?" "Should people be traveling abroad?" and "What precautions can one take to keep from becoming a victim?" In the meantime, reports continue to roll in on the latest numbers of sick and dead in Mexico City and notices of the disease’s spread to various other countries throughout the world. The virus holds potential to affect us all because its new, so no one’s immune. The world has grown very small through travel and the disease’s progress has outrun most attempts to contain it. It is also personal to me because my elderly mom, brother and sister-in-law are in Mexico just now. They headed off before the news had broken clearly, hoping to have a relaxing and uneventful holiday. If the outbreak becomes a pandemic, it won’t be the first. There have been notable pandemics in 1918, 1968 and 1975. Estimates suggest that the 1918 pandemic claimed between 20 and 50 million lives worldwide. This is all very unsettling. In the past day or so, there has been increasing media talk about "patient zero." Patient zero is the very first documented case of the disease. That person is of great interest to epidemiological investigation as a possible means to discovering the origin of the disease, mapping its spread and pursuing means to its eradication. Sometimes there is great controversy and infamy attached to patient zero. Mary Mallon is a celebrated instance. She was an apparently healthy carrier of the disease typhoid fever. Many people were infected by her and she had to be quarantined to stop her spreading the deadly disease. Dubbed "Typhoid Mary," she came to epitomize the carrier or transmitter of anything undesirable, harmful or catastrophic. In the case of Mexican Swine flu, "patient zero" may be a little boy named Edgar in a small town called La Gloria. He and his family live near large pig farming operations. He had the disease in March. The development of a vaccination looks to be weeks or even months away. So the world, it seems, is bound to live for the foreseeable future in an attitude of maximum uncertainty and anxiety. The drug Tamiflu may be helpful at mitigating symptoms, but it is uncertain whether this is just with milder variations of the flu. The Mexican version of the virus may be more robust and so less responsive. A further problem is that a course of this medication costs about $200. It is out of reach to many millions of people the world over. With about 3,000 official reported cases in Mexico so far, and some 150 fatalities, the counsel to "Wash your hands" seems a rather meager stratagem. I’d be a fool to assert specifically why this has all happened, beyond the general physical and theological observation that the world is broken and dangerous and we occupy our place in it dangerously and brokenly. But there will, no doubt, be those who confidently nominate themselves God’s spokespersons on this whole affair, declaring in most specific terms that Mexico City committed this or that sin and that is why people are getting sick and dying. I’m neither a prophet nor an apostle. And I’m certainly not God. Moreover, I’m cautioned by Jesus himself who ruled out the question of moral cause and effect in the specific circumstance when his own disciples asked it about a man born blind (John 9:1-7). Jesus declared the man’s tragic circumstance the opportunity for a demonstration of the miraculous, healing power of God in his life. I do, however, see the present worldwide threat as a powerful illustration–an extended metaphor, as it were–of the human predicament of sin before a holy God. At Romans 5:12-21, Paul identifies Adam as "patient zero." He writes, "sin entered the world through one man, and death through sin, and in this way death came to all men…" (v. 12) In this case, patient zero was fully culpable and universally infectious. His single action of rebellious independence from God was, has been, and will continue to be the physical and spiritual death of us all. No amount of human hand-washing or isolation is able to contain or neutralize the virulent contagion. The gates are down; the borders have been breached. Paul continues that there is only one cure for the human predicament … and it was costly. He writes, "if the many died by the trespass of the one man, how much more did God’s grace and the gift that came by the grace of the one man, Jesus Christ, overflow to the many!" (v. 15) As powerful and universally damaging as the "infection" of sin brought into the world by Adam was, God provided through his son Jesus a more powerful and effective "cure." His provision in the death of his son on a Roman cross for our sin is decisively effective and universally available to faith. The world desperately needs the cure. It should seize the cure. And it should celebrate the cure. This entry was posted in Conversion, Evangelism, Faith, Gospel, Salvation and tagged God on April 29, 2009 by Brian Rapske Ph.D.. The foot washing scene is peculiar to John’s Gospel (chapter 13). Scholars tell us that it was a common practice to wash one’s feet before reclining at table for a meal. Normally, the host would provide guests with basins of water and towels and they would wash their own feet. Rabbinic teaching stipulated that masters could not require their Jewish slaves to wash other people’s feet, although a Gentile slave could be required to do so. Foot washing was something wives did for their husbands and children for their parents out of respect. And disciples would do for their teachers almost anything a slave would do except deal with their feet, which was considered too demeaning for a free person. But when Jesus washed his disciples’ feet, he turned the world of social convention upside down to symbolize the full extent of his love for them and to give them a breathtaking example of how they were to love and serve one another. What strikes me in this passage is everything this passage tells me Jesus knew ahead of time as he washed the disciples’ feet. Such knowledge would have prevented many a disciple from actually doing what Jesus did. First, the known cost of loving didn’t stop him. "Jesus knew that the time had come for him to leave this world and go to the Father." (John 13:1). The means of Jesus’ "home going" was an excruciating death on a cross. Where others would avoid the pain and suffering and the cost of loving another, thinking more of themselves, Jesus gave. He knew ahead of time that he would be a suffering and dying messiah. The cross was the expression of his determination to love "to the fullest extent" and "to the very end." The next thing John tells us that Jesus knew was that "the Father had put all things under his power, and that he had come from God and was returning to God." (John 13:3). Standing and authority are often the biggest road blocks to service. Who we are and what we have relative to others are exemptions from serving because it is beneath our station to serve "downward." There must be a pecking order, we claim. The fact of a pecking order may be true for chickens, but it shouldn’t be for the saints. Paul puts the point poetically when he writes at Philippians 2:6-8 that Jesus, "being in very nature God, did not consider equality with God something to be grasped, but made himself nothing, taking the very nature of a servant, being made in human likeness." Indeed, his self humbling–symbolized at John 13 by washing others’ feet–was massive. The son of God died on a cross for humanity! The final thing John tells us Jesus knew ahead of time was "who was going to betray him…." (John 13:11) The devil had already prompted Judas Iscariot, son of Simon, to betray Jesus, John says. For most folks it would be exceedingly difficult to find it in their heart to be generous in the face of a deep hurt or betrayal from the one they were pledged to love. After all, if it didn’t actually justify retaliation, couldn’t we claim an exemption from serving another? What did Jesus do? John says Jesus washed all the disciples’ feet–even Judas’! Within hours of the meal, Judas had carried out his betrayal of Jesus to the authorities. But so too, within hours, Peter had denied Jesus several times! And within hours, all the rest of the twelve had run away! Not only were the disciples, to a man, merely human and not divine like Jesus, but each one in turn had shown themselves less than faithful and entirely unworthy. Yet, Jesus loved them, one and all, to the uttermost. He washed the feet of the betrayer, the denier and the runaways. What would have stopped others from serving and loving did not stop Jesus. He knew the supreme cost that love would call from him. He knew exactly who he was, but he stooped, nevertheless, to the level of humanity and died in their place on a Roman cross. And he loved against the shocks of human ignorance, ingratitude and hostility. Andrea was frantic. Freddie, her beloved cat, was lost! That may not have been Freddie’s sense of things, but that’s the way Andrea saw it. They’d adopted the black cat from the Humane Society animal shelter. They searched for Freddie in all the usual places–and the not so usual ones–around the house, in the yard and throughout the neighbourhood. Everyone knew Freddie to see him, but there was no Freddie to be seen! It took some time to find Freddie; in fact, three years! Freddie was picked up as a stray and returned to the animal shelter where personnel, as part of the processing, discovered that Freddie had had a microchip implanted under his skin at the time Andrea’s family first adopted him and took him home. The shelter was able to contact Andrea’s family, who’d moved in the meantime, to let them know that Freddie had been found. After three years, Freddie and Andrea were finally reunited! In the nineteenth chapter of Luke’s Gospel, Jesus gives us his expressed mission statement: "For the Son of Man came to seek and to save what was lost." (Luke 19:10) There is a strong emphasis in Luke on "lost and found" things and persons (see especially Luke 15). But Jesus’ mission statement occurs in the context of a controversial dinner engagement in Jericho. The "stray cat," in this case, was a chief tax collector named Zacchaeus. One might have thought that Jesus would not have had time for a man so roundly hated in the community for the extortionate way he earned his living and how badly this hurt people. Zacchaeus was a religious write-off, unworthy of Jesus’ time and attention as far as the community was concerned. The fact that Jesus went to Zacchaeus’ house raised tension in the community toward Jesus himself. "What’s Jesus doing, hanging around with the obviously-wicked?" people thought. "At the very least, it shows a very poor sense of judgment." The challenge in the community’s "othering" of Zacchaeus was that it ignored a very important reality. One that the Christian community needs to reckon with too when thinking about and relating to the lost. Zacchaeus the stray was lost, but he still belonged to God! The signs of that possession in the text are plain to see. First, there is Zacchaeus’ name; it’s a variant of the name "Zachariah" which means "the righteous one." Zacchaeus had been born under the covenant of God and raised by a Jewish family to see himself as part of the people of God and God’s possession. His name suggests a parental hope for his highest and most godly aspiration. Second, he showed the sign of being God’s possession by his intense curiosity about Jesus. Luke relates, "he wanted to see who Jesus was." Perhaps Jesus’ reputation as a "friend of tax collectors and sinners" had created the interest. These were all divine "microchips" embedded beneath Zacchaeus’ lost exterior. They’re like the divine "microchips" of possession embedded in Zacchaeus-types all around us. Sadly, Christians over-frequently forget that the lost also belong to God–whether they acknowledge it or not! As far away as he was from God, the signs of divine ownership on Zacchaeus were there to be seen–if one cared to look! Like the lost sheep of the shepherd, the lost coin of the woman, and the lost son of the father, Zacchaeus was still a treasured possession, but out of the hand of God. Zacchaeus had lost his way through involvement in the Roman taxation system, buying contracts to collect taxes and then sweating, gouging and cheating his fellow Jews to make a huge profit. There was no room for faith, fellowship or friendship in any of this enterprise. He’d traded them all away for the love of money. Zacchaeus was lost to God. He had no comfort. But something was drawing him and someone was drawing near to him. Jesus’ mission from God was to "seek and to save what was lost." Jesus has made it our mission too (Matthew 28:18-20). But what does it take to "seek"? It takes time for one thing. Jesus was certainly spending time on Zacchaeus. Zacchaeus was one important reason why Jesus was in Jericho. Whether it was divine insight, good planning, or something else, he was why Jesus looked into the sycamore-fig tree (vv. 4 and 5: Zaachaeus wanted to see Jesus, but probably not be seen), called the tax collector by name, told him to climb down, and invited himself over for a meal. Jesus’ intensity and initiative with Zacchaeus was unashamed, purposeful, and persistent. Obviously, more than hospitality took place between verses 6 and 8 in the narrative. Like the meal with another tax collector named Levi (Luke 5:27-32), there would have been spirited conversation, and in that context there would indeed have been intense and very direct positive engagement from Jesus on the subject of who Zacchaeus ultimately belonged to and was resisting–that he needed to return. Seeking not only called for Jesus to be daring and creative; he also had to have thick skin. Religious types criticized Jesus for "hanging out with the wicked;" consorting with spiritual losers. But he was unphased by the disapproval. Jesus knew his mission. He couldn’t seek and save the lost if he only hung out with the "holy." The logic seems pretty clear; but, sadly, modern day disciples somehow just don’t get it. WHAT DOES "SAVED" LOOK LIKE? It’s pretty easy to know when you’ve found something or someone physically. But what does a "found" or "saved" person look like spiritually? While people who are saved become orientated more closely to God and his people and have a growing interest in "spiritual" things, it may be that the answer to the question is a whole lot simpler and less generic than we oftentimes make it. Perhaps the answer to the first question comes when we’ve answered a second question: "In what way(s) is that person lost?" If there is a significant change in that expression of lostness, we can have a measure of confidence that that person has been "saved." Consider Zaacheus. He was lost in the area of money. He’d sold his soul for it and sold out his faith and community for it. The acquisition of loads of cash was his passion; it was his god. That’s a big one for people today. What does "found" and "saved" look like? It’s when there is a transformation of Zacchaeus in the area that most profoundly expresses his lostness. When Zacchaeus openly and publicly confessed that he had formerly been a lover of money above everything else and that he had put that all aside, it was clear something absolutely profound had occurred in him. Where before he had been a grasping hoarder, now he was a man of charity. The rabbis indicated that if one gave away as much as 20% of their possessions, this was "righteous." Zacchaeus declared that he would give away half of all he owned! Zacchaeus had formerly been a man with a seared conscience when it came to cheating others by his office; now he declared that he would repay those he had cheated plus significant damages (v. 8; cf. Leviticus 6:1-5; Exodus 22:1; 2 Samuel 12:6). In the area where Zacchaeus was most lost, that was the area where there was a demonstration that he had been found. Zacchaeus was saved right to the very bottom of his wallet! Lost. What indications are there in the people you know and want to share the gospel with that they bear the stamp of God’s ownership on them? Have you ever told them this? How have they become lost? You’ll need to be quite sensitive to observe and listen. Make this a matter of prayer asking for spiritual sensitivity to "read" people for their lostness. Seeking. Do you and your church show the pattern of Jesus in aggressive, clear, straightforward, sharp-eyed, daring, tough-skinned and persistent seeking? Do you hang out with the lost? Found. As you share the good news about God’s love, are you looking to see friends and acquaintances "found" in the particular areas in which they have shown themselves to be lost? This entry was posted in Bible Study, Conversion, Evangelism, Faith, Missions, Salvation on March 9, 2009 by Brian Rapske Ph.D..
Today, President Obama crossed the 49th parallel for his first official foreign visit…to Canada. News reports, media conversation, and general talk around the water cooler here in Canada is all very hopeful that things get off to a smooth start between Obama and Harper, that the conversation will be amicable and positive and that these two men and their respective administrations will be able to work together to our countries’ mutual benefit on issues like the economy and security. I wonder if President Obama had problems crossing the border? I remember just a few years ago how much easier it used to be crossing the border. Now, we all sluff along through airport security gates without our shoes, belts, or coins in our pockets, holding onto our trousers while our bags are scanned for "threatening objects." Vehicles are more closely scrutinized and their license plates photographed, occupants are more intensively questioned by customs agents, passports and other documents are more closely examined. And its happening on both sides of the border. That marvelous 3,000 mile long undefended border of ancient fame and boast has grown remote. It’s been replaced by something much thicker, less porous, taking much longer and being much harder to cross. The other day I saw on the news that the first unmanned US drone has begun to fly along the US/Canada border. The promise is that there will soon be more of them overhead. I wonder when they’ll be equipped with weapons, in addition to the awesome array of sophisticated surveillance equipment? While I can understand some of this, post-9/11, there is a certain irony to it for those of us living in the Pacific Northwest. At the White Rock/Bellingham border crossing point there’s a park and in that park is a peace arch. It declares that the US and Canada are "Children of a Common Mother." While it says we’re family, it certainly doesn’t feel that way anymore. Last time I visited my brother, I don’t recall being interrogated, frisked or x-rayed–that’s just not the family thing to do … although it is polite to remove your shoes as you cross the threshold. In this kind of a climate, where the walls are going up throughout the world, the spiritual witness of a peaceable borderlessness in the church can be quite powerful. How penetrable is the threshold of your church to the newly-converted? Is it like the Canada/US border is becoming or is it more like the Christian community of Christ’s re-creation? This entry was posted in Bible Study, Christian Community, Evangelism, Gospel, Membership, Missions on February 19, 2009 by Brian Rapske Ph.D..
"You have heard that it was said, ‘Do not commit adultery.’ But I tell you that anyone who looks at a woman lusfully has already committed adultery with her in his heart. If your right eye causes you to sin, gouge it out and throw it away. It is better for you to lose one part of your body than for your whole body to be thrown into hell. And if your right hand causes you to sin, cut it off and throw it away. It is better for you to lose one part of your body than for your whole body to go into hell." Jesus’ point is decidedly not to recommend acts of naive self harm, as though gouging out an eye or cutting off a hand will keep our minds from impure thoughts. Rather, by these shocking images of harm he is helping us to see that we need a righteousness in the area of marital faithfulness that surpasses that of the religious leaders of Jesus’ day. He is interested in his disciples’ outer life to be sure. But he is also just as keen to address the inner life because that is the root from which the fruit of behavior comes. It strikes me that the images Jesus uses are intended to compel us to ask ourselves whether we, in response to his teaching and with the help of God’s Holy Spirit, are consciously and seriously engaged in strategies for self preservation in how we relate to our spouses and think about those who are not. What do we allow and forbid ourselves and how does this affect our actions and our thought life. Are we living with a conscious and serious intent? The story of Aron Ralston is a shockingly powerful modern illustration of the dynamics that stand back of Jesus’ teaching. Ralston is the young climber who became trapped in a three foot wide section of the Blue John Canyon in Canyonlands National Park in Utah when an 800 pound boulder shifted, pinning him by his forearm. After four long days his water ran out. On the sixth day he knew that he would die in the canyon. Help had still not come. So, he committed himself to an extreme resort that, when the story got out, shocked the world and made him an instant celebrity. Ralston cut off his own arm. Applying a tourniquet just below his elbow, he did the deed with his own knife. No anesthetic; no going back. He then rappelled sixty feet to the canyon floor and hiked out some seven miles before a rescue helicopter spotted him and rushed him to a medical center. At a press conference, when he was asked what it felt like to cut off his own arm, reporters were shocked by his reply. He said, "My self-amputation was a beautiful experience because it gave me my life back." (my emphasis added). Ralston’s action, like Jesus’ images, was not about self harm. Rather, it was about self preservation. As Luke tells the Christmas story, in the hills surrounding Bethlehem, shepherds were awakened to wondrous angelic news of a Savior born to them. He was their Messiah and Lord. And the sign of this great arrangement to the shepherds’ eternal advantage was that they would find their Savior in the most humble of circumstances–swaddled in cloths and lying in a Bethlehem manger. The Son of God, who was Savior and Lord was leaving his home to come to earth. And at the same time, the whole world was having to leave home to go to their places of origin to be counted. Augustus Caesar was responsible for the chaos. But it wasn’t beyond God’s marvelous arrangement and there was no surprise. All this only served to get a young peasant couple named Joseph and Mary relocated from Nazareth–a four day journey of about 70 miles–to Bethlehem, in order that Mary could deliver God’s own Son in accordance with the scriptures. It was the moving of heaven and earth to prepare for the arrival of the Savior. When I was young, I used to think that when the angels sang, "glory to God in the highest," the words "in the highest" meant at the top of their heavenly voices. While I’m sure that the volume was impressive, the song was not about volume but location. "Glory to God in the highest heavens." they sang. It was not just praise anywhere; it was praise to God in the very place where he dwelt and from where His beloved Son had just left. That strikes me as somehow very important. When a beloved son leaves home to strike out on his own, there’s usually a good measure of parental hopefulness, but not a little melancholy and a whole lot of missing that occurs. Luke says that heaven was filled with joyful praise because of what the Son of God had left to do. He was on a mission from His heavenly Father. God was reaching down to earth in the most personal, intimate and understandable way he could. He didn’t have to, but He did nonetheless out of compassion, generosity and love for us all. In the coming of Jesus, God himself was making the arrangements to establish peace between Himself and people who were, by and large, hostile toward him. It was going to be incredibly costly. But that cost was undertaken. At Christmas time many folks think about "peace on earth" in terms of ‘giving it the old college try’ yet again. They hope to work up pleasant feelings and lift the level of civility just a little because of the season. In fact, peace on earth has nothing to do with us manufacturing warm and generous feelings so that we can feel a bit more peaceful in ourselves. And it doesn’t really work anyway. What Luke’s talking about is the earthly consequence where God’s Son is received and embraced for who He is. The angel praise is all about God’s disposition and not ours. Jesus embodies God’s action in making peace. Jesus represents God’s forceful intention to offer salvation against what people deserve and sometimes event want. Christmas is all about God. There’s no uncertainty in the angels’ song, no doubt, no question but that Jesus’ coming represents God’s best for you and me. When Jesus arrived, he was the embodiment of the holy passion of deity and the full intensity of pure love. Jesus embodied the favor of God’s peace to men. There is no other peace like it on earth … because it didn’t come from here. And heaven continues to ring with praise for that sending. Give God the glory; embrace His Savior. 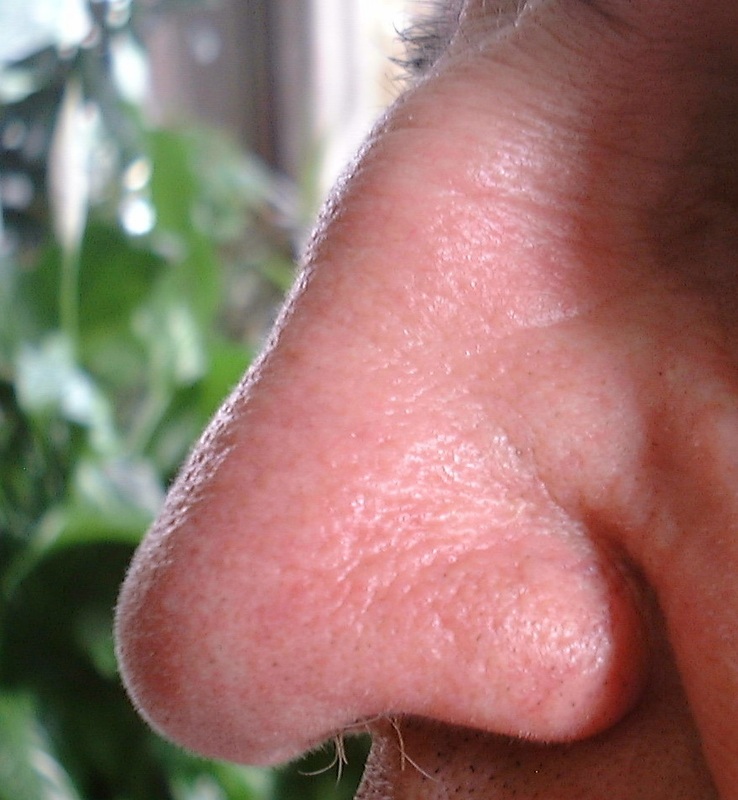 "Be careful; your nose is growing!" The inspiration for this warning is the Disney movie Pinocchio. In the story, when the little wooden boy told a lie, his nose would grow longer. When we’re very young, our attempts at deception are rather artless and obvious. I recall, at the age of five, being asked by the emergency physician how I had managed to break my ankle. I didn’t want to tell him that I’d jumped off of a flight of stairs; my dad had brought me to the hospital and I was afraid to tell the truth. So I explained, "I ran so hard that my leg just broke!" Actually, it’s not just the disposition of children. People, generally, are not especially good truth tellers. In fact, the only thing that changes over time is the sophistication and subtlety with which the truth is "massaged" to avoid punishment and confrontation, or to avoid the pain of punishment or discipline. It is amazingly common how regularly we disappoint one another by dealing in untruths. It was no different in Jesus’ day–and Jesus was concerned that his disciples would know that they were to live well above the level of conventional notions of honor and righteousness. In fact, Jesus encouraged that those who would enter the kingdom would have such a character as to possess surpassing righteousness in the area of truth-telling (Matt. 5:20). So what does surpassing righteousness in Christian truth-telling sound like? God’s intention was not that everything that was said needed to be augmented by oaths. Rather, he permitted oaths to comfort people because their confidence was so often and so easily shaken by untruths. Oaths were meant to be a comfort to doubt. The comfort of oaths for the doubtful, however, came in Jesus’ day to be shrunk and twisted to such an extent by people that there developed a distinction between oaths that were binding and oaths that were breakable. This was no more than a license to lie and deceive. Jesus’ response is very clear. This is not the way of disciples who are subjects of the heavenly kingdom. Jesus says, Do not swear at all…. (Matt. 5:34) Righteousness and honesty do not require oaths for emphasis. The next thing that Jesus says is a reminder that we are always before a watchful God and this calls for truthfulness at all times. The forms of oaths are irrelevant. Look at how he explains. Mishnah Shebuoth allowed that swearing by heaven and earth were not binding. Jesus said, Do not swear … either by heaven, for it is God’s throne; or by the earth, for it is his footstool…. (Matt. 5:34) To swear by the domain of God untruthfully is to slight him. Jesus continued, Do not swear … by Jerusalem, for it is the city of the Great King. (Matt. 5:35) The Jewish Tosephta Nedarim allowed that if you vowed by Jerusalem it was not binding but if you vowed toward Jerusalem it was. Jesus said, "Nonsense! No matter what your direction or orientation to Jerusalem, you are involving God in your oath and so taking his name lightly. You could not avoid involving God even if you simply swore by your head! Jesus said, And do not swear by your head, for you cannot make even one hair white or black. (Matt. 5:36) His point was that even this involved God because we do not have ultimate control over even the smallest things of our lives. The little hairs on my head are not listening to me–some of them are changing colour; some are growing in strange and exciting ways; others are moving to abandon me permanently! If it is righteousness to be serious about oaths; it’s surpassing righteousness when all speech deals in the unvarnished truth. Jesus said, Simply let your ‘Yes’ be ‘Yes,’ and your ‘No,’ ‘No’; anything beyond this comes from the evil one. (Matt. 5:37) He’s for reality and truthfulness in the whole range of daily conversations. How can we claim to follow the Son who is the Way, the Truth, and the Life (John 14:6) if we deal in untruths? Surpassing righteousness keeps its word. Jesus’ teaching opens up many areas for application. We should be more careful in our speech: not exaggerating, or using hyperbole, or superlatives to be dishonest, deceive, or emptily flatter people. We shouldn’t slant our stories or pad our resumes. We should keep our promises and our appointments. We should be rock solid in reliable speech to our spouses, our children, our neighbours, our boss, the judge, the government, and above all to God himself. Surpassing righteousness in the follower of Jesus is demonstrated, among other ways, in unadorned, sturdy speech that has the ring and character of truth and reliability…just like the words of Jesus. After all, that is the new nature of the subjects of the kingdom of heaven who are the children of the Great King. Truth-telling shows that we bear the family likeness! This entry was posted in Bible Study, Christian Life, Ethics and tagged Christian Living, Gospel, Jesus, truth on November 3, 2008 by Brian Rapske Ph.D..
Two days ago, Northwest Baptist Seminary participated in an annual fund raising banquet with its ACTS seminaries partners. Doners, staff and faculty were present. The program was encouraging; the student testimonies particularly inspiring. At one point one of our students–Lenora Klassen–was asked why she would recommend that folks financially support the work of the seminary. I was particularly struck by her response. Lenora replied, "I don’t know if anyone has been following the economy or activity in the world stock markets lately but there is virtually no place in that arena where a person can get a good return on investment." She continued, "If you’re looking for a place to invest that generates incredibly strong and lasting returns, there’s no better place than to invest in training highly motivated people who will serve God in proclaiming the good news about His son the Lord Jesus in an amazingly broad range of ways." Well said on the financial analysis, Lenora! I’m not an economist, but you don’t really need to be one to see that there has been a lot of economic trouble in the world of late. Markets have plunged, bank credit is frozen, and panic reigns. In the past fifteen months, there have been over 2 trillion dollars’ worth of debt-related losses. Most nations have incurred great debt in floating ‘rescue plans;’ a few nations look to have gone bankrupt. 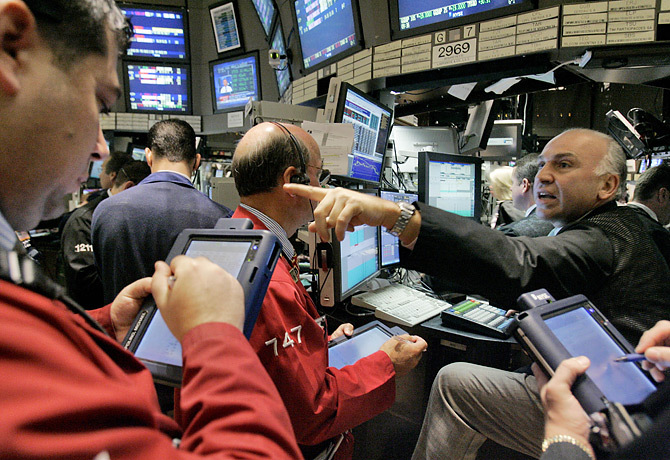 We’ve heard about how the woes of Wall Street were going to begin to affect Main Street. This week the local press where I live featured stories about several large building projects that have stopped due to the debt losses and bankruptcy of lending institutions across the border. Construction workers were being let go from the sites. The media are featuring more and more people who have invested deeply and lost everything. One US pundit quipped that 401 K retirement plans are now just 01 K plans. Lenora was also right in her spiritual assessment because it positively counseled those gathered at the banquet against the common tendency in tough times for people to experience a "generosity freeze." Obviously, supporting a Seminary in its training of quality individuals for various gospel ministries is one place to make a good long term ‘safe’ investment. We should never be neglectful of that! But there are also many other ways as well–ways that engage need in all of its desperate expressions and overwhelm the needy with generous goodness that makes them ask, "Why are you doing this?" The answer, of course, is "For the love of God and His Son." In early September, I had the deep privilege of officiating at Scott’s and Katherine’s wedding. Scott’s my nephew. There was a bit of déjà vu in the experience for me as the very first wedding I officiated at was Scott’s dad’s and mom’s wedding. Weddings are all about becoming one. Jesus said, "The man and the woman are no longer two, but one!" In the mysterious and wonderful way that God built into the DNA of marriage, that is just what happens. But Jesus also said, "What God has joined together, let man not separate." That phrase tells me that there’s effort required to stay one. In a lot of ways, churches are like marriages. They’re made up of very different people united under Christ—different shapes and sizes, different personalities and dispositions, different gifts, and different hopes and dreams. But as in marriages, even the best of churches, while they have been made one by God in Christ, have to work at staying one. There are challenges to that oneness from within and from without. Against those pressures, over and over again, the Bible calls for the church—like it calls couples in marriages—to work at staying one. Paul indicated a number of essential principles for working at staying one. 1. Never forget who you really are! Paul says, “Your core identity, is ‘follower of Jesus Christ;’ you are God’s person.” When a couple opens their hearts to Jesus and become His followers, God does some amazing things in them. He lavishes his riches on them just like he did on the Philippian church. They come to live in the comfort of Christ’s salvation; they are consoled by His love; they come into and presently experience unbroken fellowship with God through the powerful presence of God’s Holy Spirit; and they experience God’s amazing compassion and mercy. The long and short of it is that a couple already shares an incredible amount in common as they each share in salvation. Paul next says, “Trusting in that greatest common denominator of a personal relationship with Jesus, pursue harmony! Being one is not without effort. And that effort begins with healthy communication that builds toward harmony. Paul says, “Be like-minded,” “have the same love,” give expression to that “oneness in spirit,” and he concludes “think the same thing.” It’s a lot like singing in a choir. Obviously there are a lot of different voices in a church choir. But when those very different voices are all on the same page musically and pursuing harmony, the result is both deeply gratifying and God-honoring. Its the same in marriage–two very different people building toward a deeply gratifying and God-honoring harmony. 4. Imitate the Great Example! Becoming one is great; working at staying one is even better! Christians are called to live above the level of their culture. I’m OK with that. But living unreflectively can be as spiritually unhealthful as enthusiastically endorsing the culture. Though I’ve had my share of childhood scraps and squabbles, I’ve never as an adult settled a dispute by resort to bloodshed. I feel good that I’m living above the call of the Sixth Commandment, “Do not murder.” and I don’t have to worry about being subject to judgment on that account. But just because I haven’t “whacked” someone, doesn’t mean that I’m in the clear. If I allow myself to become so upset that I think angry and harmful thoughts toward another (whether I know that person or not) or vent my anger by calling a person stupid, an idiot, or a fool, that is the same as murder. How can this be? Let me illustrate. Most of us don’t like dandelions in our lawns or gardens. We go to great lengths to dig them out so that our lawns are clear of their ragged leaves and yellow heads. But it would be a complete nonsense if we were to have such an activist attitude toward the plants and yet be unconcerned or even accommodating towards the tiny seeds from which those weeds grow. Obviously the plants are much bigger and more unsightly; but they have their origin in those tiny airborne seeds. If you are a gardener, shouldn’t you be just as concerned about the seeds as you are about the weeds? That is exactly what Jesus is getting at. Murder is unrestrained anger. But in his instruction regarding angry thoughts and speech against others, it’s pretty clear that anger is just restrained murder. Murder is the full grown plant; anger is the seed from which it grows. Therefore, anger is just as deadly. Shouldn’t we be just as concerned about the seeds as we are about the plants? Allowing ourselves to cherish vile thoughts about others when we’re frustrated by them is as wrong as doing them lethal harm. We ought not to do this. But simply refraining from wrong doing, wrong thinking, and wrong speech is largely negative. That is not the full expression of surpassing righteousness, because surpassing righteousness is at the same time positive, exerting restorative energies in relationships. Jesus declares that surpassing righteousness, far from simply not hurting or maligning others, will be exceedingly anxious to make amends. In fact, it holds priority over worship (Matthew 5:23-24) and coming to one’s perceived rights (Matthew 5:25-26). God’s interest for us is that we enter into his kingdom and that nothing keeps us from that joy. That calls for surpassing righteousness, which only he by the power of his own Holy Spirit can provide. Surpassing righteousness is interested in both the outside of the call not to murder and the inner dynamics of anger which it also wishes to prevent. A great comfort that we are heaven bound followers of Jesus is that we wish people well and not ill in what we think of them and what we say to and about them. Far from being angry people, Christians are people concerned to admit when they’ve wronged someone and instant to pursue making amends. The Christian life is filled with delightful "coincidences"–confluences of life events with Scripture that give an unmistakable impression of the active oversight of God. Conformity to the world is as deeply and extensively damaging as transformation by the renewing of our minds is deeply and extensively beneficial and God-honouring. This past week I had an email interchange with my pastor. He was preaching on Romans 12:2 which declares, "Do not conform any longer to the pattern of this world, but be transformed by the renewing of your mind. Then you will be able to test and approved what God’s will is–his good, pleasing and perfect will." The question was whether conformity to the world is merely an outward shallow act and transformation is inward. That’s what a few of the older commentaries say. We discovered through the conversation and the resources we looked at together that "Paul is not merely concerned that believers will outwardly conform to this age. He is worried that their adaptation to this world will shape them in every dimension of their lives." (T. Schreiner, Romans [Baker], p. 646f.) Conformity to the world is as deeply and extensively damaging as transformation by the renewing of our minds is deeply and extensively beneficial and God-honouring. This really strikes at the lie we too frequently tell ourselves that we are only "shadowing" the world’s tastes and behaviours and that it won’t affect us "deep down" because we’re Christians and that’s not "where we really live." So, the distinction is a false one and we’re only getting ourselves into profound spiritual trouble by entertaining the negative when we should be rejecting it in favour of the alternative embrace of "transformation." As circumstance would have it, I learned first hand that being squeezed into a mold is not just external or superficial. That same week, my daughter asked me to model for her for a major art show she is preparing. It consisted in adopting a pose and staying still while she applied plaster of paris to me to create a full body mold. The event was memorable! I donned track shorts and an old t-shirt and she put me into a prone position on the tile floor. By the way, she asked, had I gone to the bathroom? Once the plaster was applied, I wouldn’t be able to move for as long as an hour or so. Being squeezed into a mold is definitely not superficial. As I lay on tile floor and the plaster was applied, I began to feel the increasing weight and pressure on every place that was covered. Soon, as the plaster began to harden, it was not the weight alone but an increasing constriction of movement that began to intrude. I was entombed! My daughter warned me that as the plaster began to harden it would heat up a bit. A bit! Not only did it heat up, but my daughter began to move around my encased and gradually hardening cocoon applying further heat with a hair dryer to hasten the hardening! As the mold hardened around me, I became completely constricted. Muscles and joints don’t do very well when completely immobilized. I started to cramp. I was immensely relieved to be removed out of the mold after the required hardening time. What an ordeal! Weight, heat, constriction, immobility … and pain! Pastor, I can now tell you from a very personal experience, being pressed into a mold does go deep deep down. It’s far from a superficial thing. I’ll choose transformation! This entry was posted in Christian Life and tagged God, Scripture, Seminary on March 7, 2008 by Brian Rapske Ph.D..
You can’t get away from it. Everyone’s talking about profits and losses. The global economy is moving into a deep recession–perhaps even a depression–some say. Others are just as convinced that the markets are moving through a period of "turbulent correction" trying to find "a bottom" from which they will eventually "power upward" again to new highs. Gold bugs are counseling flight from the markets, prophesying an "end of the world" economy and advising a haven in the yellow metal which they predict will reach $3,000 per ounce shortly. Value investment counselors say, "Hold tight. Don’t panic. It looks very bad, but keeping a steady grip will eventually see profitability return to your holdings." The anxious are bailing out of plummeting stocks while their steely opposites are salivating on the sidelines waiting to pick up the ripe economic plums from the panicked. It’s all very personal too. Young homeowners are wondering how they’ll be able to manage their mortgage payments. Their jobs are just not that secure in this climate and perhaps they shouldn’t have gotten into the skyrocketing real estate market despite the confidence of their agents and the ready availability of credit. The drop in real estate prices, foreclosure news and bankruptcy statistics only increase their sense of dread. Seniors are deeply frightened by the fact that the whipsawing markets are wreaking havoc upon their retirement nest eggs and threatening to overturn their careful financial plans. How will they survive? If there is a single truth in all of the above, it is that uncertain economic times intensify the great drivers of greed and fear. Obviously, believers shouldn’t be ignorant of the dollars and cents realities that are a needful part of wise living. But Christian generosity should not become a casualty either. Jesus told a difficult parable about a rich man who accused his manager of wasting the money entrusted to him. The manager was called to give an account of his dealings before he was let go. Here was a financial crisis. The manager reasoned that he was too weak for heavy manual labor and too ashamed to beg. He hatched a plan. In the little time that he still had oversight of the rich man’s possessions, he would show great generosity by a significant write down of each of the rich man’s debtors’ accounts. The manager apparently reasoned that the rich man would not peel back the write downs because they made him look very good. But, more importantly, the action would favorably dispose the rich man’s debtors to the manager so that they would show him kind hospitality when he lost his job. Obviously, Jesus is not commending the falsifying of books or engaging in illegal behavior. What he is interested in doing is rooting certain truths deeply into our consciousness about a God-honoring attitude toward things: First, we cannot hold onto them–the things we hold are not permanent possessions but a transient entrustment from God. It’s obvious that "you can’t take it with you," but how easily we forget! Second, we should be generous in the face of others’ needs. Such acts of generosity redound to the credit of God’s good name whose managers we are. That kind of behavior is a powerful witness and may be God’s means to open people’s eyes. Third, God is watching to see if we’ve encarnated the first and the second truths. If so, that’s the demonstration that we’re serving Him and not just slaves to stuff. This entry was posted in Bible Study, Christian Life, Culture and tagged God, Jesus on February 18, 2008 by Brian Rapske Ph.D.. This Sunday marked the second installment in a four part series that our pastor is preaching through entitled "LO$T." The dollar sign in the title is purposeful. The series is all about the dangers of becoming lost as a result of things and the pursuit of them. He began with a question, "Why do you have more than you need?" There were a few snickers in the congregation. Many were thinking, "If the pastor only knew how tight things are in our house with finances, he’d know how ludicrous the question is." What followed was a shock to us all. The pastor informed us that 92% of the people in the world don’t own a car. Many in our church have one, some two or three cars in the family, and a few have more than that. He continued that a billion people don’t have access to clean water. We not only have drinkable water from the tap, we make it more pure by filtering it. We bathe in drinkable water and sprinkle it on our lawns and go to community centers and other facilities to play in it. 800 million people won’t eat today and 300 million of them are kids. I have a weight problem. All talk of metabolism aside, its because I eat too much. I’m not alone by a long shot. "The bottom billion plus people in the world live on less than $1 a day." our pastor said. He then took us for a quick visit to www.globalrichlist.com. You can put your annual wage into a box to get an automatic calculation of what percentile of the population you fall within and how many people have a wage below yours in the world. An annual wage of $37,500 puts you in the top 5% of the richest people in the world. What we call a low wage and "poverty line" earnings, when scaled this way, is very sobering. As the pastor brought the message to a conclusion, he invited us to reconsider the question with which he began. His answer to us was this, "The reason we have more than we need is so we can share with those who are in need." So we are rich beyond the rest of the world’s wildest dreams and imaginations. Luke 19:1-10 does make it clear that people can be lost when it comes to accumulating stuff. Getting saved, this passage teaches, should reach right down to the depths of my bank book and not just my soul. It was a great sermon: What does "saved" look like for me? This entry was posted in Bible Study, Conversion and tagged Church on January 29, 2008 by Brian Rapske Ph.D.. The news in our city about gang wars and violence is deeply disturbing. Over the past several weeks news articles and reports have been featured regarding a particularly gruesome targeted gang hit on six individuals at a high rise apartment complex. Four of the individuals were young men deeply involved in the drug trade and well known to both the police and our court system; the other two victims were entirely unconnected with these men; they were men whose only mistake was to have been near and to have seen the assailants, and so they were murdered with the rest. One of those innocents was Ed Schellenberg, a good Christian man who was on site doing fireplace maintenance. In the last week, I awoke to news of another targeted gangland killing on one of the city’s major streets. Two men were shot dead in their vehicle. This is no more than a couple of blocks from where my two daughters live. That makes 19 gang-related murders in our city this year. Responses to this violence have been varied. The police forces of the greater Vancouver region have banded together to form a "Violence Suppression Team" with patrols in local hangouts to surveille and harass known gang members. Op ed pieces in the media are cynical, calling for such things as a revamp of a court system that many claim is entirely lax in its punishment of such offenders, or the government legalization and control of the very drug trade from which the gangs have enriched themselves and over which they’re fighting. The solutions on offer are varied; some touch to mere suppression of the offending behavior, others seek to address systemic issues. I’ve heard virtually no exploration or address of the deeper human dynamics of all this beyond the mere pronouncements of an offended sense of morality. And where is the involvement that engages for personal transformation? Everyone is talking to the gun, but no one seems to be talking to the hand. Where is the voice of the church in all this? I really don’t think I’ve heard it yet. Far from being irrelevant, it is desperately needed. The weather reports in our area give a 60% chance for rain this evening. Visibility will be worse than usual. I expect that we’ll all need to drive home especially carefully in the darkness tonight. Children, normally safe at home after dark, will be costumed and out tonight; more mindful of the prospects of a sack full of goodies than of looking both ways before crossing the street. We’ve been warned not to allow our children to simply tuck into those goodies; first, check the treats for tampering–needles, razor blades, poisons and such. We’ve also been advised to keep our pets inside and in a room as far away from the doorbell as possible tonight. The noise of constant activity at the door is frightening to them, and youthful inspirations with fireworks have not infrequently led to the terrorizing or maiming of pets. Costumes will run from the cutest to the most goulish and macabre. The range of revelers will run from infants dressed and carried from house to house by parents all the way to youth and adults, some of whom will themselves need to be carried home tonight. Police and fire departments will be on higher alert; a few more doctors may be on call and hospital emergency rooms may see an increase in patient traffic. What is all this edgy celebration about? The night was first celebrated as a high moment in the season of harvest in pagan Gaelic culture, a time of potentially dangerous penetration of the world of the dead into that of the living. Its symbolic expressions and activities represented human machinations to avoid, or at least control, what threatened. The Romans applied their own overlay of harvest celebration and preventative magic and ritualism. Later communities and cultures added their own elements. The Christian celebration of All Hallows’ Eve or All Saints Day on November 1, has done little more than lend its name to the night. Halloween was not at first conceived as safe; nor is it entirely so today. Its "celebrations" in antiquity were nothing more than the expression of a cyclical reminder of slavery to beggarly forces and principles without permanent remedy; modernity’s continued witless mimicking amounts to the bravado of an uncertain whistling at gathered darkness. I should think that the preferred recourse of wiser souls, over all the rest of those other souls who celebrate, is a sheltered sleep and anticipation of the breaking dawn and its light. It works practically; it works theologically too! This entry was posted in Culture, Hell and tagged Cross, Culture on October 31, 2007 by Brian Rapske Ph.D..
It’s that time of the semester once again. The Registrar’s office has asked each professor to indicate whether they are requiring an examination that needs to be scheduled into the examination week for their courses. The schedule is out and professors and students are all now aware of when each examination will need to be sat. By and large, most of our students do a good to great job in writing their exams. Sometimes, there is a feeling of uncertainty about their answer to this or that question, but generally, there is a sense of satisfaction and relief as they leave the examination hall. They studied hard, retaining much. And during the exam, what was committed to memory was laid out in answers to questions or synthesized and made the basis of responses to cases presented for analysis. With the completion of the examination, they have done their part in the course and all that awaits is the professor’s grading of the work and the formal posting of the student’s final mark for the course. It is not a new thought, but it occurred to me that most of our exams are not the real examination. Indeed, the real exam is taken when the knowledge is put into practice for the benefit of those who will be served or helped. The real examination occurs after the exam for the course. In the knowledge of that truth, I’ve taken to adding a little note at the bottom of each examination sheet following my Christmas wish to the student. In the hermeneutics exam sheet, for example, it reads, "Remember, the real examination for this course takes place every time you open your Bible to translate, study, preach, teach and counsel." The principle holds not only in the academy, but also in the church and in life generally for the Christian. The real test of what we’ve heard in the sermon, or the Bible study class, or the home group is not that we were in attendance, or even whether we can replicate the content flawlessly. It is, rather, what we’ll do with what we’ve heard. The test is action. Dan’s emailed invitation was more of a 911 call. I quote: "I received a call last night from my 76 year old father who just became a Christian a little over a year ago–he’s over-the-top excited about his new found faith and is going to be baptized next Sunday…and I don’t want to miss it! So, …I’m looking for a last minute preacher who could fill in here at Albion…." Who wouldn’t want to be at his own dad’s baptism? 76 years old! That number alone tells me a story. It tells me that the greatest length of the life pathway for Dan’s dad has been filled with incomprehension and not a little resistance to Jesus. Every pathway has measures of those elements. That Dan has been a Christian far longer than his dad I’m sure means that he was both concerned and hopeful for his dad’s eventual conversion to Christ. I don’t doubt that Dan’s daily prayers to God gave good time to ask for a transformed mind for his dad so that he could understand that the good news about a new life in Jesus was good news for him. There have probably been many conversations between father and son regarding what it means to be a Christian in terms of costs and blessings. I’m sure Dan had to balance the urgency to insistently tell with respect for his dad and realization that if anything happened, it would ultimately be God’s doing and in God’s time. Well, God came through–big time! It makes me wonder, though. If we imagined everyone we know who needs to hear the good news about salvation in Jesus’ name as a beloved father, mother, or child, would we be more consciously prayerful for their salvation, more available to relate to them, more respectfully insistent in raising the matter about Jesus, and more patient and persistent out of a great hopefulness and confidence to see God come through? Dan had the joy of seeing his father in his late years come to a whole new life through faith in Jesus and be baptized this past Sunday. It should make us all want to pursue that joy as well. This entry was posted in Baptist, Conversion, Evangelism, Gospel, Salvation and tagged Church, God, Jesus, Prayer, Seminary on October 2, 2007 by Brian Rapske Ph.D..
My daughters, who’ve recently left home and struck out on their own, are searching for a home church. Sunday they tried out a young congregation meeting at a local movie theater. When we asked them, they described what had gone on that morning during the service. It was great! Earlier in their search they’d found and worshiped with a young, energetic congregation in an old church building that is undergoing a significant physical refit to accommodate all the exciting ministries and growth. There’s a quite apparent vibrancy and a great excitement in those churches to be God’s communities where they are and to serve the non-Christian community needs which are apparent. We know the churches to have a firm grip upon the faith passed down through the ages and they are both quite passionate about members incarnating the truths of Scripture. There is a positive sense of the congregations’ selves and a fearless sense of mission in them which is refreshing. How can parents be anything but encouraged when the search turns to such options? The girls are both keenly aware that there is no such thing as a perfect church–at least not this side of eternity. But we’re encouraged that they have engaged the search out of a realization of the critical value of being in community. Paul Tournier wrote, "There are two things we cannot do alone; one is to be married and the other is be a Christian." 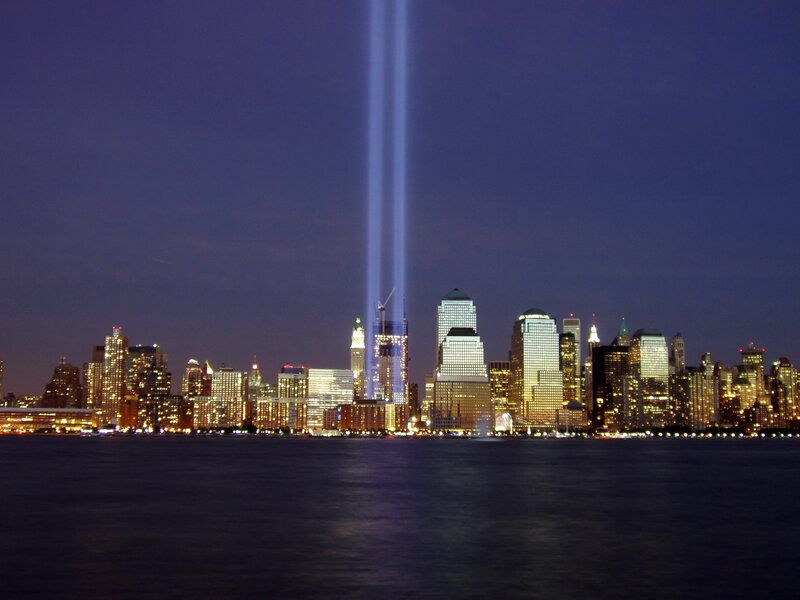 Yesterday was the sixth anniversary of 9/11. Many media pieces featured some aspect or other of the tragedy. Some were retrospectives of the event itself. Others covered planned commemorations. I watched one that discussed the engineering implications of 9/11 for high rise building safety. Among them, two reports in particular struck me. One was a radio report that memorial service attendance near the site of the World Trade Center this year was only 3,500; down by 1,000 from last year. The other was a news piece by a reporter who asked people on the street what 9/11 was. I was appalled at how many didn’t have a clue what 9/11 was. One person actually asked, "Wasn’t that when we invaded Iraq?" Perhaps the noblest human motive in remembering the departed is the wish to keep them alive after a fashion, to confer upon them a kind of life beyond the grave in memory. But as massively nightmarish and horrible as 9/11 was, and as much as a nation pledged itself in the days following to cherish the nearly 3,000 dead, it is clear that memory is fading. Human beings are miserably bad saviors that way. Who can keep us from being forgotten; from becoming meaningless names and dates chiseled in weathering stone, statistics in a register, or even less? I have no faith in strangers or even my own family to keep me thus. And even if they could do it, where’s the joy or satisfaction in it for them or for me? If there is salvation in being remembered, who’s able to commit us to the fullest memory so that it is meaningful to the rememberer and the remembered and so that the memory creates more than a sense of loss and deep pain? Can anyone remember us in this way? I recall the evangelist Luke’s account of two men who hung on crosses within earshot of one another. Both were destined to die that day–one justly for crimes he admitted he had committed; the other innocently, yet without complaint. The former was a criminal sorry to God for what he’d done; the latter was God’s own son. As life slipped away from both, a remarkable conversation occurred. The guilty man asked the innocent one, "Jesus, remember me when you come into your kingdom." The innocent one replied, "I tell you the truth, today you will be with me in paradise." That’s how I want to be remembered. That’s who I want to be remembered by. This entry was posted in Bible, Faith, Resurrection, Salvation, The Cross of Christ and tagged Cross, God, Jesus on September 12, 2007 by Brian Rapske Ph.D..
Todd Chapman, pastor of Auguston Neighbourhood Church in Abbotsford, BC., is a graduate of Northwest Baptist Seminary at ACTS (Master of Religious Education 1999). He and Karen have three children: Delaney, Macaulay and Theo. Todd, in a life filled with many significant choices, perhaps the biggest is the determination to be a follower of Jesus. Tell me a bit about that choice. I was raised in a godly home and grew up with a strong sense of being part of a church community. I became a Christian at age six and was baptized on Thanksgiving Sunday when I turned eight. It’s a fabulous thing to come to faith and to grow up in this kind of environment. But there is a whole other world beyond the shelter of such an upbringing, where personal choices have to be made and this can be tough. Tell me a bit more. Well, being a Christian parent, I can appreciate much more the way I was raised and I’m trying to model this with my own kids. When I was in my mid teens, my folks entrusted me to God’s care in the task of making certain choices. They stood by me in the process, watching as I made my choices—some good and some not so good—and there were great times of interaction. I deeply respect my parents for giving me the freedom to grow in this way. The choices we often have to make are not always black or white; right or wrong. God will sometimes say, "There was a better choice to be made. But Todd, I am with you and I love you." That’s what my parents modeled to me. I learned to trust God and prove his reality. Choices were also a way of showing me where my heart was. This was an early schooling to prepare me in the weightier choices that I would eventually make—like whom I would marry and what calling or profession I would choose. Your choice to study at Northwest Baptist Seminary was a pretty momentous one. How did it occur? That’s an interesting one. I was doing my fourth year of studies at Trinity Western University moving toward a teaching degree when I sensed that I needed to do a check on the direction of my life. I asked God for time away from my studies to reflect. This meant getting a job in fairly short order. My sense that God was with me in this process was immediate. The next day, I was approached by someone who asked me if I would be available to work up in Powell River at a fishing lodge. It was during this five month period of time that God helped me to an increasing conviction on many important life decisions, including going to seminary. When you make a choice to follow God, you actually commit yourself to engage a whole sequence of choices. My first day at seminary was the day after the birth of our first daughter, Delany. She arrived 6 weeks early. I remember thinking, "I’m starting seminary. My wife Karen is now mom to a premature newborn and can’t work at her job as an ER nurse and we have to live with our parents. Finances are going to be low and expenses high. God is going to have to put this together." I had to renew my trust in him all along the way, and God came through. I wouldn’t describe myself as a ‘formal education’ kind of guy. But the choice to trust God in this new venture energized me. The studies were a challenge. But there was also an amazing joy and sense of fulfillment in pursuing the choice; my grades were never better! I got the formal education. I was also positively affected by the professors who respected me and encouraged and challenged me to grow in my relationship with Christ. Through seminary there were numerous opportunities for experiential application of God’s truth—especially in the internship I did at North Valley Baptist. I was faced with opportunities to try new things and to trust God further. What I’m saying is that the big choice to prepare for ministry was followed by a whole sequence of choices to live and learn and trust God. Todd, your ministry at Smithers Baptist Church was not a short one as first pastorates sometimes are. No. In fact, we served there for seven years. Smithers was a big change for us. I had been interested in taking an associate position after seminary. God’s open door to me was a senior pastoral one. The choice to go to Smithers in October of 1999 had to be filled with trust in God’s provision. The move carried implications for Karen’s nursing career. It meant moving away from extended family and we would miss them greatly. It meant moving to a church community with a young family to a church with few young families. By the way, in Smithers they have real winter; that was another change! Over and over again, though, God proved his goodness as we chose to follow him. I was a pretty young and inexperienced senior pastor—only twenty-five years old. But the church was amazingly flexible, giving room for me to grow and to try new things. Then there were those defining moments of assurance: an amazing sense of restfulness and confidence that God gave to us as we entered our second year of ministry in Smithers; the day that one of the elders came up to me and told me, "Todd, you’re my pastor and I’m going to follow"; and when my father-in-law took me aside to tell me, "You and Karen are meant to serve this church." We are called to stand by God-honoring choices. But the great joy is that God also stands by us when we take them! You’ve been at Auguston Neighbourhood Church for just over a year now. Tell me about the transition to this new opportunity to serve God and the choices it’s entailed. Well, it is absolutely fundamental to choose a course of action for the right reasons. That’s especially important when it’s a choice to answer a call to a new church. Karen and I always affirmed to God that we would continue in our choice to serve Smithers until he indicated otherwise. The process of being approached by Auguston, interacting with the search committee and then moving through a more intensive exploration process was God’s means of providing us the information and encouragement we needed. I remember wondering how long it would take to sell our house in Smithers. The ‘for sale’ sign went up without our knowledge by a friend in Smithers. A lady came to the door asking to view the house the day we got home from the Auguston interview, and three weeks later the house was sold. Getting into our house in Abbotsford was as remarkable a sign of God’s provision and assurance. Coming to Auguston required real choices; calling for us to trust in God’s continuing help. There are some very significant cultural differences between the communities at Smithers and Auguston and the churches. God expects me to serve faithfully, but he also expects me to serve in different ways. I can hear him saying to me in all of this, "I will provide. You’ll have what you need. In fact, all you need is me; trust me." We miss our friends in Smithers. One of the big changes for me is to have my office at home. It calls for discipline in carving out focused time for study and preparation. There is always more for which to trust God and in which he proves himself faithful. I wonder, as you’ve reflected on choices and changes, is there a passage of Scripture that you’ve found particularly helpful? One passage that I’ve found particularly helpful is 1 Corinthians 1:26-31. Paul invites the Corinthians to reflect on what they were when God called them. Not many were wise, influential, or of noble birth by human standards. But, he continues, God chose those who were foolish and lowly by earthly standards to achieve his marvelous ends. This passage reminds me of three things: who I am; who God is; and what he can do through you. You can have absolute confidence in God through the challenge of choices. That’s how life should be lived. This entry was posted in Alumni Stories on September 10, 2007 by Brian Rapske Ph.D..
Have you seen March of the Penguins? It’s an amazing movie! One of the most remarkable scenes is when the Emperor penguins are all clustered together for warmth in stormy, sub-zero Antarctic weather. Many are trying to hatch their young, keeping them delicately balanced and nestled on the tops of their feet. Without food, the nesting parents will perish, so one parent must go away a great distance to get food for itself and its partner. When it returns to the colony, the challenge is to find its mate amongst the thousands of other penguins. How do they do it? It’s cold. The darkness and driving snow kills all visibility. And there is a constant shifting of penguins from the outside where it’s coldest into the center of the colony. Worst of all, the penguins all look the same! But they still find their mates! How do they manage? The answer, scientists say, is voice recognition. The penguin partners have tuned their hearing to recognize the distinctive and unique sound of their mate’s call. in short, they tune and they listen! This reminds me of the challenge Samuel faced in recognizing the Lord’s voice in the sanctuary at Shilo (1 Samuel 3). Much was conspiring against Samuel recognizing the voice: the Lord’s voice was rare in those days and Samuel was deeply habituated to answer to Eli so that he at first mistook the voice. Yet, the Lord insistently called him. Eli picked up on what was happening and instructed the young boy that when next he heard the voice, he should reply, "Speak, Lord, for your servant is listening." (v. 9) He did and this began a remarkable prophetic ministry. This leaves me with a number of questions: Whose voice am I listening for? Is it the preacher’s; is it the radio teacher’s; is it the Sunday School teacher’s; or is it ultimately the Lord’s voice? What is the level of my voice recognition? Yesterday, August 1st at 6:05 pm, an extended section of the I-35W Bridge in Minneapolis, Minnesota suddenly collapsed, sending dozens of vehicles, together with their drivers and passengers, plunging into the Mississippi River. The images yesterday were of emergency personnel and citizens on the scene scrambling amid the tons of twisted metal and broken concrete to rescue survivors. Today, the images and commentary in the news are different. Various local, state and federal officials are appearing on camera to pledge material support and vowing to find answers to the engineering and administrative questions. Anguished family members are being interviewed as they wait for word on loved ones who did not return home last night and have not called. Reporters’ commentary has shifted from rescue to talk of safe recovery of bodies and there is a general dread that the victim count–remarkably low to this point–is poised to rise. Invariably, amid the words and images of the media, a few sound bites will be given over to theological reflection. Much of the theology will be, at best, unhelpful and some of it will be downright bad. Some pundits will challenge God’s greatness–where was He when the bridge went down, claiming the innocents? They will accuse God of either sleeping on the job or not really being in charge. Others will challenge God’s goodness, concluding from the collapse and a superabundance of other tragedies the world over that such a malignant world must be overseen by an equally malignant God. Yet others will risk accusations of callous heartlessness by exploring the dangerous territory of particular human deserving. Far too many, sadly, will simply dismiss the God question as antiquated, naive and irrelevant. Jesus was pressed by contemporaries in his day for a theological sound bite in a similar situation (Luke 13:1-9). His response was interesting. He questioned neither the goodness nor the greatness of God. These were givens. While He forcefully resisted the notion of being able to assign greater or lesser guilt to individuals on the basis of what happened to them, he was equally adamant that there are no innocents on the road, notwithstanding human assessments. Everyone is a sinner, he asserted. What was Jesus’ advice? The structure will eventually collapse for everyone and particular collapses are a warning of the breathtaking shortness of human life. Smooth crossings presently are a divine grace against our deserving. Therefore, we should take them as our opportunity to humbly draw close to God and honour him through a generous, well-lived life. This entry was posted in Bible Study, Conversion, Evangelism and tagged Cross, God, Jesus, Theology on August 2, 2007 by Brian Rapske Ph.D..
Our house has been a-hum with guests most of this month. But as busy as we’ve been, the joy has been greater. Sitting around the crowded dinner table laden with good things this week, I’ve been reminded of how many times in the past my family and I have been the beneficiaries of God’s great kindnesses through the generous hospitality of Christian acquaintances and friends. One never loses in the act of hospitality. The act is always overwhelmed by returning gains—personal, relational and spiritual. What binds us to these guests around our table is a golden thread that stretches back to the years 1987 through 1992, when our family lived in Aberdeen, Scotland while I pursued a PhD. Maureen and her son Joel are at our table. She and her husband Mark were among our first friends in Scotland. They opened their hearts and their home to us when we were Christian strangers just newly arrived, helping us in many ways to settle in to an unfamiliar environment. We were overwhelmed. Joel was only 3 or 4 years old then; he’s 24 now and looks remarkably like his dad, who passed away just this year. Joanna’s at our table too. She and our daughters became best of friends in those five golden years as did our respective families. The Atlantic has been crossed several times to maintain the connection. As I listen to her news of mom and dad and sisters, I recall wonderful memories made during our five years in Scotland. Peter is at our table and so is his friend Andy. Peter’s uncle Philip was the teaching elder in the small Christian fellowship where we worshipped. They love the Lord Jesus and both are pursuing meaningful professions and expressing their Christian commitment in them. Hospitality, it seems, has always been a peculiar distinctive and calling of the people of God. The Old Testament patriarchs set food before strangers on divinely ordained missions. In Luke’s Gospel, two disciples prevailed upon a fellow traveler to stay with them and share a meal on the road to Emmaus, discovering later that they had given hospitality to their risen Lord. In the Book of Acts early Christians were known for signs and wonders, but also for breaking bread from house to house. And believers continued to be challenged in the book of Hebrews to inexhaustible kindness in hospitality, lest they miss the potential of entertaining angels unawares. The saints are sitting around our table. It’s been a wonderful summer thus far! This entry was posted in Bible Study, Church and tagged Cross, God, Gospel, Jesus, Missions, Old Testament on July 24, 2007 by Brian Rapske Ph.D..
Last night our family had a dinner and DVD night at home. After a delicious taco salad, we settled in to watch Miss Potter, about the famed children’s author Beatrix Potter who gave the world Peter Rabbit, Jemima Puddle-duck and a host of other characters and their various adventures. A significant sub-theme in the movie was the struggle that Beatrix’s parents had in coming to terms with the reality that their daughter was not just a published author, but a very famous one at that. They only came to see their daughter in a new light rather late. That’s parents for you. But, then, that seems to be all of us! We tend to be blinded by assumed familiarity. The movie reminded me that when a parent allows him or herself to be blinded by assumed familiarity, it can steal the joy of celebrating a child’s achievements. It can pose a threat to the health—or even the survival—of a parent-child relationship. How much more costly the risks in being blinded by an assumed familiarity with the Galilean preacher, the Son of God and only Savior of the world? This entry was posted in Bible Study, Evangelism, Salvation and tagged God, Jesus on July 13, 2007 by Brian Rapske Ph.D.. While there is a debate on about the extent of global warming, there are a few things that are sure: Storms will come and we all experience them. We may lose a few shingles off our roof. On the other hand, we may lose the whole house! This is also true in a metaphorical sense. There are health storms, economic storms, emotional storms, and relational stormsâ€”they are real and they do come. As surely as we each experience physical storms, there will come a time when we will be caught up in one, another, or several storms. Our lives may be bashed and buffeted until we think that the ship of our life will sink and our faith in a God who cares will drown. How can you survive lifeâ€™s storms with faith intact and strong? At Mark 4:35-41, Jesus and the disciples experienced a storm. As the disciples desperately rowed, Jesus was asleep on the cushion, apparently unconcerned by the threat on all of their lives. Finally, in a tone of resentment and rebuke, they woke him with the words, â€œTeacher, donâ€™t you care if we drown?â€ (38) Clearly, Jesus did care. Mark writes that he â€œrebuked the wind and said to the waves, â€˜Quiet! Be still!â€™â€ (40) The storm abated instantly and there was a great calm. Then Jesus asked them, â€œWhy are you so afraid? Do you still have no faith?â€ Their response was terror and astonishment, â€œWho is this?â€ Who indeed! In the inevitable and threatening storms that will come, Christians may ask the question, â€œDonâ€™t you care if we drown?â€ The answer to that question is a second questionâ€”Who is the man in the boat of your life? It is often our prejudice to take accurate measures of every dimension of the storms we are in, but to forget to reckon with the identity of the One we fancy to be carelessly sleeping in the boat of our lives. Such calculation is shortsighted. This passage encourages that we stay with the man in our boat. Even though itâ€™s just barely afloat. Say a word now â€¦ or then! This entry was posted in Bible Study and tagged God, Jesus on July 3, 2007 by Brian Rapske Ph.D.. This past week, Iâ€™ve been teaching a course on the letter to the Philippians. Written by the apostle Paul out of the troubled circumstances of an imprisonment, it is addressed to one of his most beloved congregations who themselves were going through much trouble and persecution. Do you know the good and the great embodiments of the Christian life in your church context? Look for them and, when youâ€™ve found them, follow their pattern! There is a very real risk of the Philippian churchâ€™s unraveling under the assault. Paulâ€™s concern is to help them persevere in faith and unity. His strategy is to provide them with a number of life examples of how to move through trouble. Jesus is the supreme exemplar of self-humbling for the purpose of service to others. Paul says, â€œYour attitude should be the same as that of Christ Jesus.â€ (Phil. 2:5) Paul can remind the Philippians that belief and suffering are both a matter of Christian calling and bid them consider his own life as both confirmation and example of that reality. (Phil 1:29-30) As he sends the Philippian helper Epaphroditus back to his home church, he encourages the church to mark the quality of Epaphroditusâ€™ service to Paul on their behalf because he nearly died doing so. They should not only celebrate Epaphroditus but also honor others who are like him. (Phil. 2:29-30) These are not the only exemplars commendedâ€”there are others; positive ones to be imitated and negative ones to be avoided. Do you know the good and the great embodiments of the Christian life in your church context? What are their names and for what Christian virtues are they to be admired? Look for them and when youâ€™ve found them, follow their pattern! This entry was posted in Bible Study and tagged Church, Jesus on June 22, 2007 by Brian Rapske Ph.D..
CAN YOUR FAITH BE SEEN? Two weekends back, I reflected upon our church’s process in searching for a new lead pastor and youth minister (“Searching for the New Pastor” NBS Blog). The search culminated in a very busy weekend of meetings as both candidates were interviewed and interacted with us in a variety of contexts. It was exhausting and exhilarating! On Tuesday of last week, our church membership discerned that it was indeed God’s good pleasure that we call both candidates to the respective ministries for which they had been considered. The vote was unanimous! Several days later, both candidates had responded positively, so we now have a new lead pastor and a new youth minister. Praise God! The key issue after considerations of whether these men and our church were a good “fit” in every other respect was, of course, finances. It’s going to be a stretch well beyond the status quo giving of our congregation as our new pastors come to be with us. At one point, someone during the intense but very positive three hour business meeting said, “We have had faith to believe that God will bring the servants of his choosing to our church. Now that we have them, we must show that we can believe God for the finances to bring this off.” I was fascinated by that comment. It sounded so … biblical! The call for and expression of an active and visible faith is everywhere in the Scriptures. True faith has a concrete, material dynamic to it. It’s expressed not only in words but in the fabric of flesh and blood actions. “Show me your faith without deeds,” says James, “and I will show you my faith by what I do.” (James 2:18 my italics) I’m reminded of the four men who brought their paralyzed friend to Jesus to be healed. They believed in their hearts he could do it. But this truth about them was not expressed in words. Rather, it was heard and seen in the risky business of tearing through a roof so they could lower their friend to where Jesus was. In the dusty, splintering industry of deconstruction, Mark writes, Jesus “saw their faith” (Mark 2:5). So, when we pray for a new pastor and then commit ourselves to pay for him, it’s all about faith. Faith in God must be heard and seen. It’s highly spiritual and very muscular. It’s expressed from the depths of our souls and out of the inside of our wallets. This entry was posted in Faith and tagged Church, God, Jesus, Scripture on June 13, 2007 by Brian Rapske Ph.D..
Our church has just emerged from a very busy weekend. Not one but two search committees have been working simultaneously through past months in pursuit of individuals to serve our church in the respective capacities of Lead Pastor and Youth Associate. The searches culminated for both committees as both the recommended candidates were invited to a process of mutual acquaintance and exploration with the churchâ€”on the same weekend! The proclamation and modeling of the gospel are the calling and ministry of us all! The traits and patterns listed at 1 Timothy 3:1-7 are not merely prerequisites to the ministry, they also are the ministry. Of course, there was much to explore regarding the specifics of our church and its ministry hopes and aspirations as well as the candidatesâ€™ respective histories and how they see their futures under Godâ€™s direction. There have been many questions and answers; much talking and listening; and there has been a lot of reflection and prayer. It has been a time especially to reacquaint ourselves with the Scriptural directions regarding leaders and the leadership task. This passage has reminded me again of two things: First, the things mentioned are actually more than a mere list of â€œqualificationsâ€ or â€œprerequisitesâ€ to the ministry. In a very real sense, they are the ministry. Thatâ€™s because the gospel is both something to be proclaimed and something to be modeled by the churchâ€™s leaders. Second, while we look to find these Christian character traits and life patterns in our leaders with peculiar strength and consistency, the traits and patterns are not peculiarly leadership traits. They are, after all, Christian character traits and life patterns to which we should all aspire and grow. Weâ€™ll see where weâ€™ve gotten to in our â€œsearch for the new pastorâ€ in not too many days. Itâ€™s been a great, if somewhat exhausting, weekend and Iâ€™m confident that all is safely in Godâ€™s hands. What Iâ€™ve learned again through this process is that when the ministries of the new Lead Pastor and Youth Associate begin, ours donâ€™t stop. The proclamation and modeling of the gospel are the calling and ministry of us all! This entry was posted in Leadership and tagged Church, God, Gospel, Leaders, Leadership, Ministry, Prayer on June 4, 2007 by Brian Rapske Ph.D..
My wife, youngest daughter and I are nearing the end of what has been a delightfully restful holiday in Hawaii. Of course the chief reason for this holiday choice has been the consistently glorious sunshine. We’ve enjoyed it during our stay, but one does have to be very careful. That golden orb above our heads has the potential to be either a healthful friend or a hellish enemy. In moderate doses, the ultraviolet B radiation of the sun is a significant factor in our bodies’ production of vitamin D which is crucial to the formation and maintenance of healthy bones. Moreover, research has shown that people who spend some time in the sun each day have a reduced risk of certain kinds of cancers. And besides, the sun’s warmth feels so good! But it’s also the case that too much sun can burn the surface of the skin, damage the blood vessels deeper down, affect the skin’s elasticity, and, with repeated damage, alter our DNA so that there’s a risk to life from various kinds of cancer. The double-edged quality of that heat and light is how the prophet Malachi describes the great and final day that he calls “the day of the Lord” which will distinguish between the righteous and the wicked. Malachi writes that for some, that day will burn like a furnace. “All the arrogant and every evildoer will be stubble, and that day that is coming will set them on fire,” says the LORD Almighty. “Not a root or a branch will be left to them.” (Malachi 4:1) That sounds to me like the ultimate sunburn. Malachi goes on to say, however, that the same heat and light of that day will be enthusiastically welcomed by the righteous: “for you who revere my name, the sun of righteousness will rise with healing in its wings. And you will go out and leap like calves released from the stall.” (Malachi 4:2) It’s frolicking in the rays of a warming sunshine after being cooped up through a long wintry darkness. It’s an eternal holiday tan. Scripture says we’re all bound for that day in the sun. It’s the same sun for us all and the same heat. There’s no sun block for it or none needed, depending upon how that day in the sun finds you and me. This entry was posted in Salvation and tagged Scripture, Seminary on May 24, 2007 by Brian Rapske Ph.D..
Two weekends ago, I had the privilege of officiating at the wedding of my nephew Russell and his wife Danielle. They’re a great couple! I shared with them that the secret of a fulfilling marriage that goes the distance depends upon the direction in which a couple leans.In marriages that grow, a husband and wife will lean toward one another for support and encouragement through good times and bad. In marriages that become progressively more distressed and unstable, couples will lean away and apart from one another. I base this little piece of wisdom on Ecclesiastes 4:7-12. The first two verses of this passage describe a man who leans away. He has no son and no brother. He has a 24/7 commitment to get ahead. It’s a small wonder that he’s asking himself, “For whom am I toiling…and why am I depriving myself of enjoyment?” Obviously couples do need to work hard nowadays; but in a marriage that goes the distance, you have to work hard together and for one another. That’s leaning in.Ecclesiastes praises the merits of leaning in at verses 9 to 12. Two are better than one he says. Togetherness brings a better profit (“a good return”), greater resilience (“If one falls down, his friend can pick him up”), mutual comfort on the road of life (“if two lie down together, they will keep warm”), and a stronger defense against external threats (“one may be overpowered, two can defend themselves”). Ecclesiastes concludes his reflection with the observation that “A cord of three strands is not quickly broken.” So, what’s the third strand? Some say it is the arrival of children. That makes good sense as the arrival of children will typically add both joy and a greater family strength as they grow and take their place. In marriages that grow—whether there are good times or bad—a husband and wife will lean toward one another for support and encouragement. This entry was posted in Marriage and tagged God, Marriage, Seminary on May 15, 2007 by Brian Rapske Ph.D..
A number of years ago, I had the privilege of teaching a course on the Book of Acts in Seoul, South Korea. When my teaching was done, a couple of the students were charged by my hosts to show me the sites of the city in the few daylight hours that remained that day. They asked me if there was anything in particular I wanted to see. I asked to see the Yoido Full Gospel Church. The Yoido church’s claim to fame is that it is arguably the largest church in the world, with over 800,000 members. My guides showed me many sites around and outside the city until well past sunset. After that, we went to a restaurant and I was treated to an absolutely sumptuous meal. My impression was that the lateness of the evening meant that the Yoido church had been struck off the schedule of things to see. We arrived at the Yoido church sometime past 10:30 pm. My thought was, “I guess they’ll drive by the building so I can see how big it is.” We pulled into a massive parking area and made our way into the building. A prayer service was underway. One of my guides apologized that the attendance was less than usual—only about 30,000 people or so were there. I was astonished! It put me in mind of a book I read about this church and its pastor Yonggi Cho. At one point the author reflected on North American Christians’ infatuation with methods and programs as the means to church growth. He related how a group of American pastors came to Pastor Cho, asking what method he followed. Cho replied, “All kinds!” Essentially, he was disclaiming that method had led to the growth. The key was…something else. But what was it? “You will receive power when the Holy Spirit comes on you and you will be my witnesses.” (Acts 1:8) Jesus was the first to help his followers in the matter of the “something else” by which the witness to him, and the community subsequently established, would grow. He told his disciples, “you will receive power when the Holy Spirit comes on you and you will be my witnesses” (Acts 1:8). The means of the realization of Jesus’ picture of advance and growth was not human stratagems or schemes; rather, it was the powerful presence of the Holy Spirit. Methods can be quite helpful, but they will not ultimately realize a divine plan—for that to occur it takes God himself! This entry was posted in Holy Spirit and tagged Church, God, Gospel, Holy Spirit, Jesus, Prayer on May 4, 2007 by Brian Rapske Ph.D..
On Monday night of this past week at the Convention of the Baptist churches of our Fellowship, an award of merit was given to pastor David and Virginia Fairbrother. Theyâ€™re an amazing couple, having served sacrificially and with peculiar distinction in a number of churches over many years. There was a particular intensity and pathos in the moment as rather extraordinary measures had to be taken to get David out of hospital to the convention site for the recognition.Â Heâ€™s very seriously ill. After notice of their ministry was given, David and Virginia responded in turn. The silence of the congregation and the focus of our listening were particularly noticeable as we strained to hear every word that David had to say. It was just too important than to risk missing one of them. After the recognition, David went right back to hospital. This entry was posted in Ministry and tagged Church, Ministry on April 26, 2007 by Brian Rapske Ph.D.. It seems that it will never end. Yesterday it was the campus of Virginia Tech in Blacksburg. The toll so far is 34 dead, including the shooter Cho Seung-hui who committed suicide. Last year it was the Amish Schoolhouse shootings where a gunman took the lives of 5 little girls before killing himself. Before that it was the Columbine High School shootings in Denver. There the death toll was 12 with 24 wounded and two teenage shooters dead by their own hands. And long before that it was the University of Texas in 1966 when Charles Whiteman killed 15, including his mom and wife, and wounded 31 others before being cut down by police gunfire. We can inset to the list Taber, Concordia, Ecole Polytechnique, and Brampton as sad Canadian examples. The bloodstained litany is appalling. People are pressing in from every side to ask, once again, “How could this happen?” Early reports are suggesting that Cho was having girlfriend problems, but that may not be it. The other shootings threw up various motives—brain tumors, video games, Goth culture, troubled home life, post traumatic stress. The media and featured experts wrestled one another to paralysis all the while that parents and others called for the heads of various school, political and law enforcement officials for not being better prepared, for being too slow, or too fast. The weapons of choice in the above instances were handguns, rifles, shotguns, M1 carbines etc. The shooters were younger and older; they were white and non-white; comfortable and poor. The victims were male and female; known and complete strangers. What kind of a world do we live in? Quite apparently, a deeply hurting world where some take their pain and magnify it by hurting and destroying others; a world without solutions for prevention; a world without recourse to do more than analyze and/or vilify the memories of killers, bury their dead and give thin comfort to the wounded and bereaved. Today, more than usual, I’m convinced that there’s no help from within. The world only repeats itself with one horrendous shock after another. It’s clear that we cannot help or heal ourselves. What we need is rescue deep down, healing deep down and help deep down … from outside the circle of our reality. OK. It’s Monday, the day after the Easter weekend. So, what’s different? I attended two services—one on Good Friday at which a number of churches attended and one on Sunday in my home church. Regular church-goers like me and C & Es—Christmas and Easter only types—were reminded of the events of the death and resurrection of Jesus. The sermons we heard took different tacks as they crisscrossed various texts. I heard a couple of good ones—one from a youthful preacher and another from a man who’s been in the ministry for over fifty years. As the sails of their sermons each caught gusts of relevance, I was thrilled at the sudden quickening. When Jesus preached the Sermon on the Mount, he concluded by telling people that true understanding was not merely attaining to a personal intellectual “click” point. Rather, true understanding builds a life on what is heard; its hearing and doing. Jesus likened it to a man wisely building a house on a solid place so that it would withstand storms (Matt. 7:24). I heard the preachers. They were helpful. But did I really get it? How will that part of the world I touch be different because I’m building upon what I heard this past weekend? What’s going to be different? This entry was posted in Christian Life and tagged Church, Cross, Jesus, Ministry on April 10, 2007 by Brian Rapske Ph.D..
Before he became a follower of Jesus, the apostle Paul was a persecutor of Christians. Scripture relates how he “began to destroy the church. Going from house to house, he dragged off men and women and put them in prison.” (Acts 8:3) and of his “breathing out murderous threats against the Lord’s disciples.” (Acts 9:1f.) He did not look to be a likely prospect for conversion. In fact, he seemed an “impossible case.” Ananias thought that. When the Lord commissioned Ananias to go to see Paul, his response was shock. He rather audaciously reminded the Lord that Paul was a Christ-hater and persecutor (Acts 9:13f. )—he was an impossible case. Ananias may have been far more convinced that Paul would kill him than that he would become a follower of Jesus! What Ananias didn’t know at the time—but what we know from Acts 9:3-16—is that Paul had, a short while before, been shaken to his core by a meeting with the risen Jesus on the road to Damascus. Paul had had a vision in which a man named Ananias came to restore his sight. Ananias didn’t know that the Lord had some very big plans for Paul. God was ‘on the case’ long before Ananias arrived on the scene. "Someone has said that God’s action is a lot like icebergs-9/10ths of what he’s doing is below the surface, beyond the field of human vision." Few conversions are ‘out of the blue.’ Almost always there has been an incubation period.God is preparing unsaved people through life experiences and circumstances long before we ever arrive on the scene. In fact, he can work even through the very things we might think make our friends ‘impossible cases.’ Someone has said that God’s action is a lot like icebergs—9/10ths of what he’s doing is below the surface, beyond the field of human vision. Think of your ‘impossible’ person—God is and has already been working in their life, even though they and we may see nothing at all. That’s part of the great news of this passage—God is working and can save ‘impossible’ people. So, don’t be discouraged! This entry was posted in Conversion, God's Power, Salvation and tagged Church, God, Jesus, Scripture on April 2, 2007 by Brian Rapske Ph.D.. The documents actually tell quite a different story. Jesusâ€™ resurrection and first appearances didnâ€™t catch all the disciples at the same time.Â There were some who werenâ€™t present and so would not necessarily have known what to make of their fellow disciplesâ€™ assertions of the resurrection of Jesus and of his bodily appearance to them.Â The Gospel of John 20:24-29, for example, tells us that the disciple Thomas was one. He would not content himself with hearing from others; or even seeing for himself. Thomas would believe only after both visual and full tactile confirmation. This sounds both sophisticated and scientific! Seeing Jesus was apparently enough.Â John says at v. 28 that Thomas declared, â€˜My Lord and my God!â€™â€Â These are the titles of deity! This entry was posted in Resurrection and tagged God, Gospel, Jesus, New Testament on March 23, 2007 by Brian Rapske Ph.D..
An “as if not” life is calculatingly deliberate; it is focused to honour Christ. Where others are involved, it negotiates through to permissions and synergies that free up energies and time to honour Christ. An “as if not” life goes through the great ups and downs of human existence, but returns immediately from wild emotional gyrations to the magnetic north of honouring Christ. An “as if not” life acknowledges the requirement of things but disallows entanglements to them, preferring to see things as means to honour Christ. When Christian philanthropist Maxey Jarman reflected that he had only lost what he’d kept, but that what he’d given away was safe, he was acknowledging an “as if not” life through multiple demands (Fred Smith, “What I Learned from Maxey Jarman,” Leadership 2.1 ). The “as if not” life should be energized, Paul reminds, by the sober conviction that “this world in its present form is passing away.” (1 Cor. 7:31) Live in light of the end. Live “as if not.” It makes good, God-honouring, Christian sense. Jesus’ Grave — Full or Empty? Excuse my cynicism, but we must be nearing the Easter season! There’s another sensational docudrama in the wind. It’s about Jesus and, unsurprisingly, has profoundly negative implications for the Christian faith traditionally understood. After seeding a media frenzy as prelude to the event itself, the TV faithful have been gathered from far and wide to be awed and troubled yet again by a new “gospel.” As usual, the claims of the docudrama are bold; the scripting and cinematography, as slick and convincing as any CSI episode; and the basis in fact, inconsistent with both the content of first century New Testament description and the findings of scientific archaeology. This time round it’s a TV piece by the Discovery Channel called “The Lost Tomb of Christ,” directed by Simcha Jacobovici and produced by James Cameron (of movie Titanic fame). They make a sensational claim that the tomb of Jesus’ family has been discovered in the Talpiyot suburb of Jerusalem. And it’s full! The bones of the whole family are there, including those of Jesus, his wife Mary and their son Judah. DNA proves it! The Talpiyot tomb is not a new discovery. Archaologist Amos Kloner excavated the site and published his findings some 27 years ago. Moreover, Kloner and many others in the archaeological fraternity emphatically do not reach the easy conclusions of Jacobovici and Cameron. Space forbids an extended discussion of the rather compelling reasons why the Talpiyot tomb cannot be that of Jesus. But check out the response of Jodi Magness, Kenan Distinguished Professor for Teaching Excellence in Early Judaism at the University of North Carolina at Chapel Hill, to the archaeological and biblical issues . You’ll find it quite interesting! (Click here…) Magness, for her part, has focused upon the Gospels, which is quite logical. But there is even earlier canonical tradition relating to the tomb. It’s in 1 Corinthians. Written by the apostle Paul, this New Testament letter is probably older than the Gospels. It dates to around 54/5 AD, some 25 years after the Easter events. But what Paul includes in the letter about the tomb of Jesus is even older. 1 Corinthians 15:3-8 is a brief and almost poetic piece of ancient Christian tradition that Paul himself had received from others. If this is what Paul received following his conversion, it dates to only a few years after the Easter events themselves. It reads thus: “that Christ died for our sins according to the Scriptures, that he was buried, that he was raised on the third day according to the Scriptures, and that he appeared to Peter, and then to the Twelve. After that, he appeared to more than five hundred of the brothers at the same time, most of whom are still living, though some have fallen asleep. Then he appeared to James, then to all the apostles….” (NIV) Notice, “he was buried”—that means the tomb; and, “he was raised on the third day”—that means the empty tomb. The bold list of appearances of the risen Lord to various individuals and groups served confident notice to those who wished to trouble themselves, that one could conduct interviews to satisfy questions. We may agree with Jacobovici and Cameron that there is a tomb somewhere about the environs of ancient Jerusalem and in it Jesus’ lifeless body was laid; but, against Jacobovici and Cameron, Jesus’ tomb, wherever it presently is, was only briefly occupied by Jesus before his resurrection. This entry was posted in Easter, Resurrection and tagged Bible, Gospel, Jesus, New Testament, Scripture on March 7, 2007 by Brian Rapske Ph.D..
My Non-Christian Friend is an Evangelist?! When you next meet with your non-Christian friend, make the case to her that she’s an evangelist and ask her about her message and its effect. Whether people have great faith in Jesus Christ or none at all, everyone is “preaching” a message. When they hear the word “evangelist,” most folks think of Billy Graham. Billy’s preached the plain, unadorned gospel of salvation through Jesus Christ to over 200 million people and, through various media, to multiple millions more. But Adolf Hitler was an “evangelist” too! His message, in a book called Mein Kampf, was Aryan European supremacy and that destiny included the needful extermination of all Jews. The cost of his “evangel” was 62 million lives, including nearly 6 million Jews. Both men were evangelists; their messages and the results, however, were incredibly different! Of course, the world is full of different “evangels”—some are hateful and destructive like Hitler’s; many, many more are hardly positive or helpful because they are the result of people’s being hurt or simply self-absorbed. Your friend would probably agree that many evangelists and their messages could stand improvement at least, if not complete transformation. At Mark 5:1-20 we meet a man with a message. Possessed by demons, his “evangel” was to hurt himself and the people around him. Jesus, out of love and concern, effected a miraculous transformation of both the man (v. 15) and his message (v. 19). Put in his right mind, the man was told, “Go home to your family and tell them how much the Lord has done for you, and how he has had mercy on you.” New man; new message! Make the case to your non-Christian friend that she, like everyone else, is an evangelist. See where it leads. Of course, she may ask you what your “evangel” is. What will you tell her? This entry was posted in Easter, Evangelism, Gospel and tagged Gospel, Jesus, Seminary on February 27, 2007 by Brian Rapske Ph.D..
I’m told that British Columbia, being part of the Pacific "ring of fire," has quite frequent earthquakes. Our province can experience as many as 30 or more quakes per month, which is pretty average. Of those quakes, five are magnitude three and only one is magnitude four. It’s a curiosity to me that I’ve only actually been aware of two or three of those quakes in my whole life. Maybe I’m not that sensitive. But there are seismologists who record every quake, determining its intensity and its focus and monitoring the many smaller aftershocks. I’m not that sensitive to the earth’s movements, but the earth’s movements are their whole job. Jesus listens for tremors of faith in people with infinitely more passion and commitment than any seismologist. When the woman plagued by a chronic bleeding problem touched Jesus’ clothes in faith as he was making his way through a jostling crowd, Jesus knew it immediately (Mark 5:24-34). The lesser motives of the crowd and their pawing were unremarkable to him. But the slight touch of faith stopped him in his tracks. He turned around to ask, "Who touched me?" …….. There was a second reason for his question. Jesus didn’t want for the woman to be an anonymous believer in him and, just as much, he didn’t want to be an anonymous Savior and helper to her. That’s why He called her openly to confess what had happened. As she did, Jesus declared, "Daughter, your faith has healed you. Go in peace and be freed from your suffering." (v. 34) In all of the pushing and shoving of the crowds on the way to Capernaum that day Jesus was listening. In all of the activities in churches round the world Sunday by Sunday and in the world everywhere, Jesus is listening. This is a great encouragement to everyone-but especially to the beleaguered, the newcomer and the quite timid who reach out to him. Faith in him will effect transformation. But he does call for an open confession. Your faith in Jesus is the most important thing! This entry was posted in Faith and tagged Church, Jesus on February 20, 2007 by Brian Rapske Ph.D..